Rwanda (Land of a thousand hills) - The Africa Safari Co.
Rwanda is an extremely scenic country and offers travellers a safe and picturesque passage through the impressive volcanic Virunga chain, known as the “Land of a thousand hills”. This mountainous backdrop hosts the extraordinary experience of observing mountain gorillas in an intimate and serene environment. 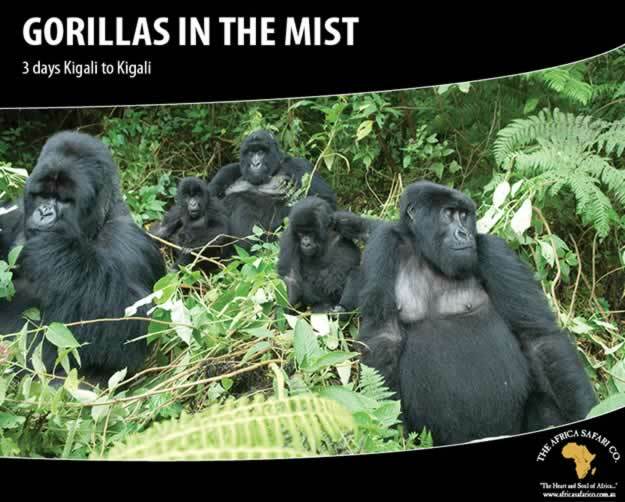 Endorsed by it’s unique habitat and abundant wildlife, Rwanda is regaining it’s reputation as the number one gorilla stop, and a must see destination.